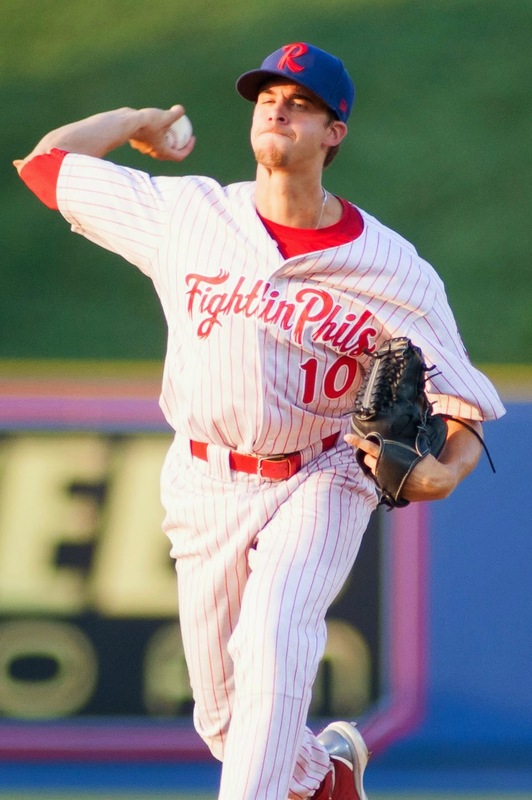 Last June, Aaron Nola was selected 7th overall in the MLB amateur draft by the Phillies. Just months later, he is widley considered one of the organization’s most promising prospects. After sporting an 11-1 record and a 1.47 ERA and being named a collegiate First Team All-American at Louisiana State University this year, the righty went on to post a 4-3 record as well as a 2.93 ERA along with 45 strike outs and 10 walks in 55 1/3 innings over 12 professional appearances. Nola, 21, is working hard this winter to improve what already is an exceptional arm. Recently, I spoke with the six-foot-one 195-pounder about his efforts this off-season, working with his brother and plenty more. Read ahead for that full interview. -How have you been keeping busy this off-season? I’ve just been hanging out and doing little hunting and fishing trips. Kind of just keeping my mind off of baseball for some time, but now that I’ve started throwing again a couple weeks ago, I’m back into baseball, back into the swing of it. And ever since I started throwing, I just want that season to come sooner. -What is the work out routine for you at this stage and is it mandated by the Phillies? Yeah, they have a workout program on their website and I kind of go off of that and kind of plan my workouts around that and do a lot of the stuff that they’ve got me and a lot of the guys through the off-season. They’ve got the throwing program lined up and I go off of that. It’s been pretty helpful. -As a pitcher, do you have someone that you typically pair up with to get your work in? I do. Some of the guys that I played with over at LSU, they train there and they’re with different organizations right now, but some of them are over at LSU, training on the field. What’s easiest for me is actually I throw with my brother, Austin (an infielder in the Miami system). He catches me and he gives me some great feedback. -And you’ve both got free run of the facilities at LSU there over the off-season? Oh, yeah. They open it up to all the former athletes that played at LSU, which is awesome, because we can go there and train and you can do whatever you want there. Yeah. When I was at LSU the past couple years, especially last year, this time I’d just be getting done with exams. But this time, my focus is completely on training and it’s easier on me and easier on my mind. I’ve enjoyed it. -Being highly ranked among Phillies prospects so early in your career, what type of effect can that have on your outlook, if any? Well, I try not to at that and look at it that way. I’m still myself and I still have goals and I still just want to go out and do the best that I can. Leave everything out on the field and try not to get on all this other stuff and these rankings. I just want to go out and do what I can do and play to the best of my ability and everything will take care of itself. -Do you have an estimated time of arrival for spring training yet? I’ll probably show up around the 12th or 13th (of February), but I may go earlier than that. I’ll just play it by ear.